Every homeowner wants the best for their home. That's why so many choose Mitsubishi for mini-split systems/heat pumps. They've long been leaders in the industry and their electric ductless heating & cooling systems are rated #1 for CT's heating & air conditioning options. With many indoor unit options and its Inverter technology, Mitsubishi can adequately heat and cool any home. The indoor unit is called an Air Handler. The choice of air handler will depend on the layout of your room and other factors. The HVAC experts at Air Inc. Heating and Air Conditioning can help you consider these factors and pick the best option for your needs. Contact us today and schedule your free estimate in Guilford, North Haven, Branford, and nearby! Wall Mount - These are the original "Ductless Air Handlers". They are installed high on a wall, usually 4" from the ceiling. These are the most popular air handlers. The wall mounted unit blends into the room and you don't even know it's there. No Ductwork required. Floor Mount - Installs about 4" from the floor and is mounted to the wall. These are great for areas that have no available space on the walls, such as a room with many tall windows. No Ductwork required. Low Static Air Handler - This unit is installed in an attic or basement, hidden away. Minimal ductwork is needed to transfer air to 2 or 3 rooms maximum. They are designed for very short lengths of ductwork so you cannot use them to heat and cool a whole house. Multi-Position Air Handler - This unit is installed in an attic, basement, or closet. It is a state of the art air handler. It is very well built and whisper quiet. The multi-position air handler is designed to be connected to ductwork that can heat or cool a large area, multiple rooms or an entire home. Ceiling-Cassette Air Handlers - These are designed for areas with suspended ceilings (Dropped Ceilings). With some carpentry work, they can be installed into a ceiling as long as there is an attic above the room. They are flush with the ceiling and blend into the room décor very well. No Ductwork required. Call today for a free estimate on a Mini Split System install! If you're looking for a brand you can trust then look no further than Mitsubishi. If you're looking for a ductless heating & cooling contractor you can trust then look no further than Air Inc. Heating and Air Conditioning. We're proud to be a Mitsubishi Electric Diamond Dealer and can help you find the perfect ductless heating & cooling option for your home. You can't go wrong. 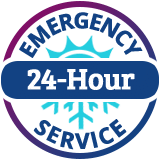 Contact us today and schedule your free estimate for any of our services in New Haven, Madison, East Haven, West Haven, Milford, Woodbridge, Hamden, and nearby Connecticut!